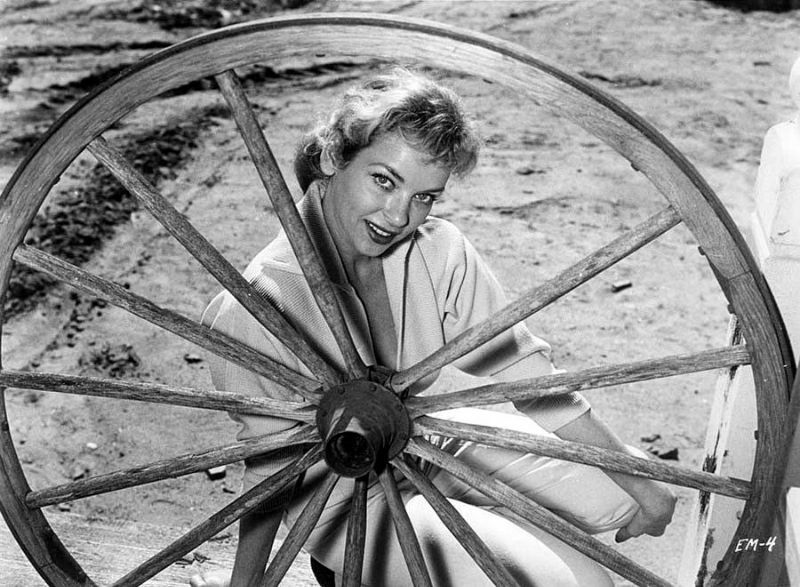 Meyer worked frequently as a photographic model for Russ Meyer after their marriage, appeared in the film Operation Dames (1959), and took a lead role in Meyer's 1960 exploitation film Eve and the Handyman. Eve Meyer served as producer, or associate or executive producer, on Meyer's 1960s and early 1970s films, including Beyond the Valley of the Dolls (1970). On March 27, 1977 at Los Rodeos Airport in the Canary Islands, Meyer, onboard Pan Am Flight 1736 from New York, was one of 335 passengers killed when KLM Flight 4805 collided with the Pan Am aircraft during take-off. The disaster is the deadliest in aviation history, with 583 total fatalities. Take a look at these stunning photos to see glamorous beauty of young Eve Meyer in the 1950s.